Happy Monday dear folks! And a Happy New Year to all. Not easy to get back into the groove of things; the steady (laborious, mundane) rhythm of work after a long break. This being the start of a full 5 days working week (shock! horror! ), I guess most of us are still in dreamland, Christmas mood or probably wishing for another bowl of Tang Yuen (Winter Solstice was on 22 Dec, btw). Anyway, the year started on the opposite side of a high note for Motormouth however. Down with slight fever and sore throat on the first day itself, followed by some rather disturbing news from home … Grandma got admitted two nights ago. It’s not uncommon for me to share life stories way back in 2008 or 2009, but ever since then, rarely do readers observe Motormouth rambling about life’s finer details and mishaps. Like in the words of a fellow reader; has Motormouth gone commercialised? Maybe. Maybe not. But rest assured that the delicious food shots and reviews will still come in rapid-fire style. Happy 2014. 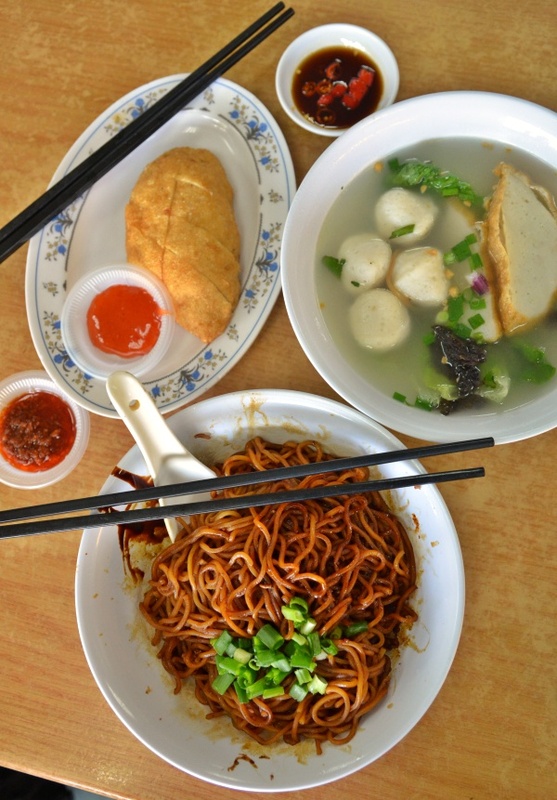 And let’s hop over to a breakfast spot in Petaling Jaya that I have taken a strong liking to. Dry Yee Mee mixed with fried shallots and pork lard fritters, topped with chopped scallions and tossed with soy sauce and dark soy sauce, the tasty Fish Cake (RM5); a palm-sized delightful accompaniment and the bountiful of bouncy fish balls and fish cakes with Romaine lettuce and sea weed soup. At the other end of Ahwa Hokkien Mee off Jalan 222 (next to Shell station), is this coffee shop named Mei Keng. We used to have our lunch here back in those days (about 3 years ago) when I first started working in Klang Valley after quitting the job in Perak that started all this frenzy over eating, shooting and writing. Mei Keng houses an excellent economy rice stall during lunch hour and has since taken up the next lot. The seating capacity just had to be expanded to cater to the peak hour crowd. Aside from that, the Char Kuey Teow here ain’t too shabby either, though today’s focus is on the Teochew fish ball noodles. Not any mere fish ball noodles stall, mind you. But one that prides on their premium bowl of Estuary grouper fish (loong dan) noodles (RM20 per bowl, so don’t walk in without a resuscitator). But then again, banking on premium fish noodles alone won’t cut it. Especially when 2014 is projected to be a relatively tougher year; the uncertainties over GST and rising cost of goods notwithstanding. 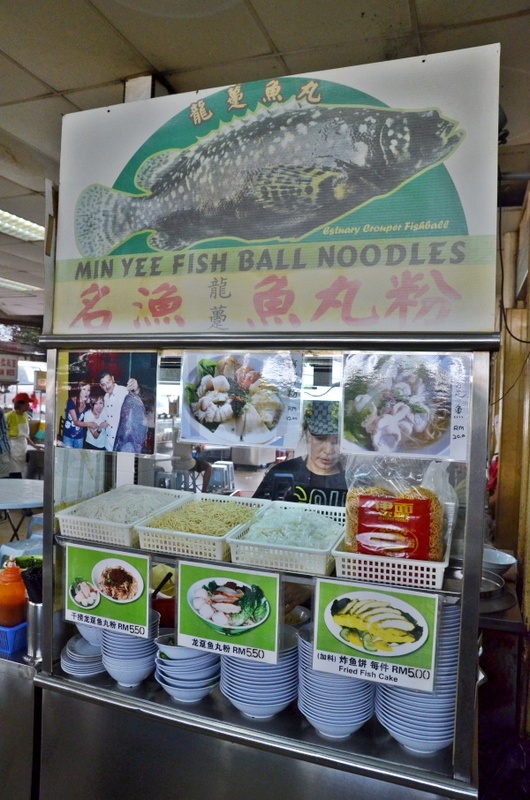 The fish ball noodles come in either dry or soup version; and they don’t skimp on the ingredients, seriously. 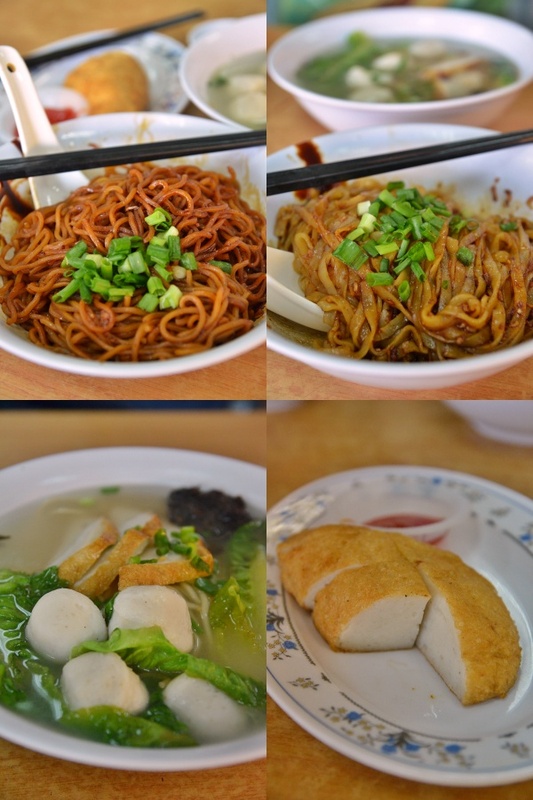 4 larger than average sized fish balls, a good few slices of fish cakes, and Romaine lettuce and seaweed in the clear, slightly peppered soup accompanying my favourite choice of noodles here; dry yee mee. The noodles is tossed in a mix of soy sauce and dark soy sauce, with addition of crunchy lard fritters and fried shallots for that extra ‘umami’ flavour. The portion is above average as well, hence you will definitely get your money’s worth here. By the way, am sorry to hear about your grandma too, hope she’s fine now, and also hope you have recovered from your cold. Making Long Tan into fish balls??? That’s sacrilege! Long Tan is such a fine fish for eating as is, and there are a few good places that make noodles with the fillet or head. Seems to me that making it into fish balls is to cater to rich patrons who want to pay a premium for fish noodles but don’t really like the taste of fresh fish.